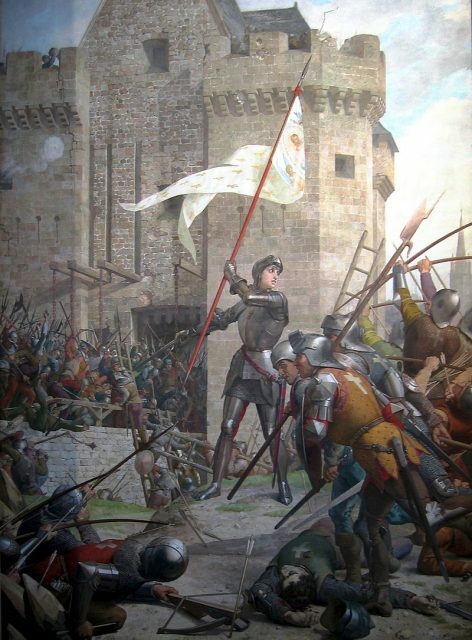 At the Siege of Orleans in 1429, in yet another brutal phase of the Hundred Year’s War, the English suffered a major blow to their desire to control France. 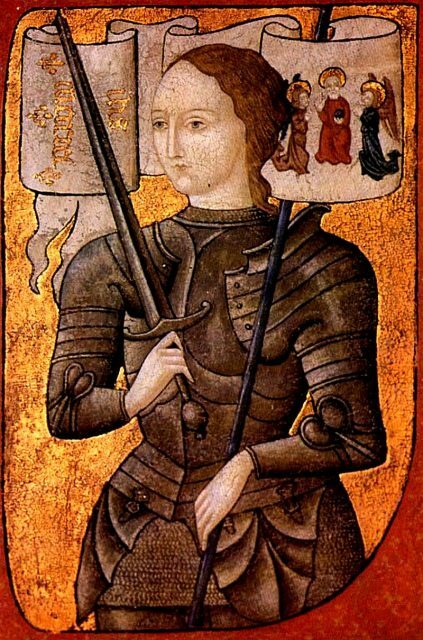 Besides the efforts of one of history’s most notorious French peasant girls, Joan of Arc, a French marksman by the name of Jehan de Montesiler also defied the English. This man, according to the sources at the time, used an early hand cannon to strike from just outside arrow range. 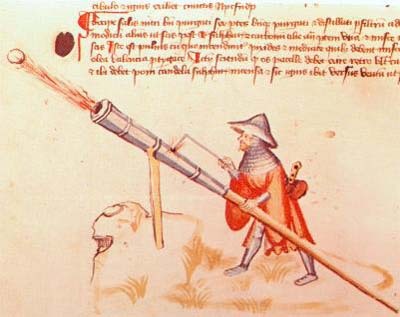 Though the legend of the lone man accurately firing what was essentially an oversized mortar firework is in doubt, the man himself did exist and did operate a hand cannon during the siege. Other such marksmen allegedly participated in the battle on the side of the French, such as Alfonso de Patada, a Spaniard. But Montsiler’s skills and kills set him above other early marksmen. Nearly half a century before the invention of the matchlock, Monstiler and his ilk fielded hand cannons. These primitive firearms were little more than a barrel on a stick with a firing hole. Lacking a sight, rifling, or even a method of ignition other than something smoldering in the wielder’s other hand, Montilser’s abilities and skills with such a simple weapon stand out for their time. Montsiler himself likely came from some means, since he was able to afford any kind of firearm at all. The fact that such a weapon could strike down even a knight, or even, as it happens, the Lord of Grey, no doubt frightened the flagging English almost as much as Joan of Arc. There are awed accounts of his ability to strike down lords and multiple targets with a single shot. The weapon itself was not that remarkable. Hand cannons had evolved in India and East Asia as well. What made the French marksman’s efforts remarkable was his early use of sniper’s tactics. Monstiler earned the notice of the French for his efforts from beneath a bridge where he utilized a pillar for cover as well as a brace for his firearm. 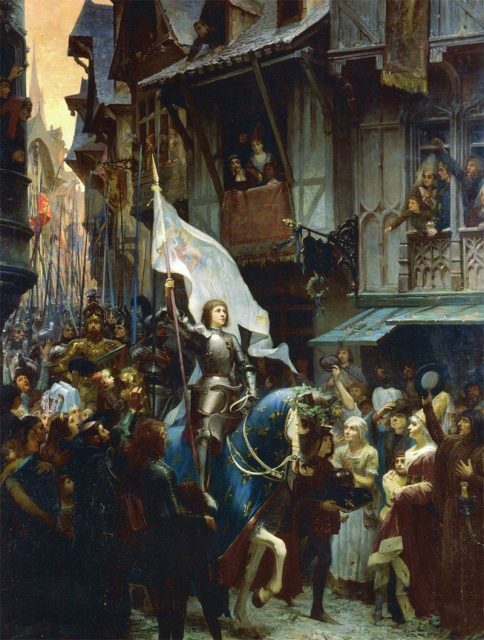 At first, he operated largely on his own, but then Joan of Arc’s squire recruited him to aid their cause. As the French lacked such weaponry, his addition to their beleaguered forces was a vital asset. 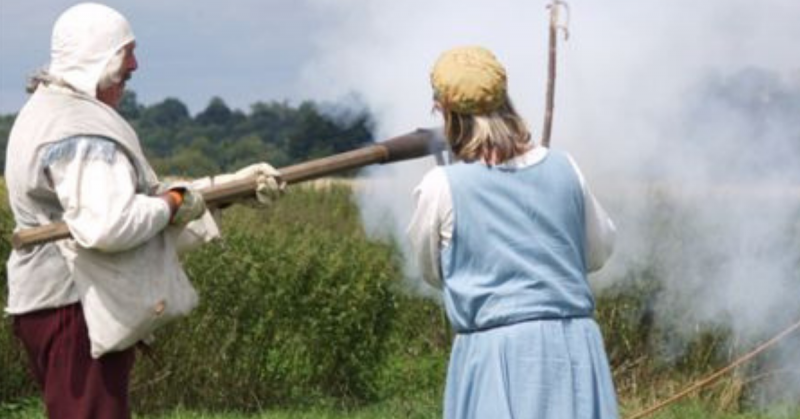 Not only is this one of the first recorded uses of a firearm in European history, but Montsiler is also an early example of a firearms sharpshooter. His participation at the Siege of Orleans helped herald in a new era in medieval warfare. Though it would take many decades and many men to fully utilize the potential of firearms, Monstiler and his kind paved the way for further advancements and experimentations. There is some question as to whether the French marksman could have been as precise as the stories claim. Since he was utilizing an incredibly primitive firearm, Montsiler’s aiming relied on dead reckoning and good eyesight. Much like early artillery gunners, Monstiler’s best way to aim involved zeroing in on his target with multiple shots. Though his accuracy may be doubted, his presence is not. It would take time for Europe to understand the full impact of Montsiler’s lesson, but once learned, it would usher in a new kind of warfare to Europe, and the world.